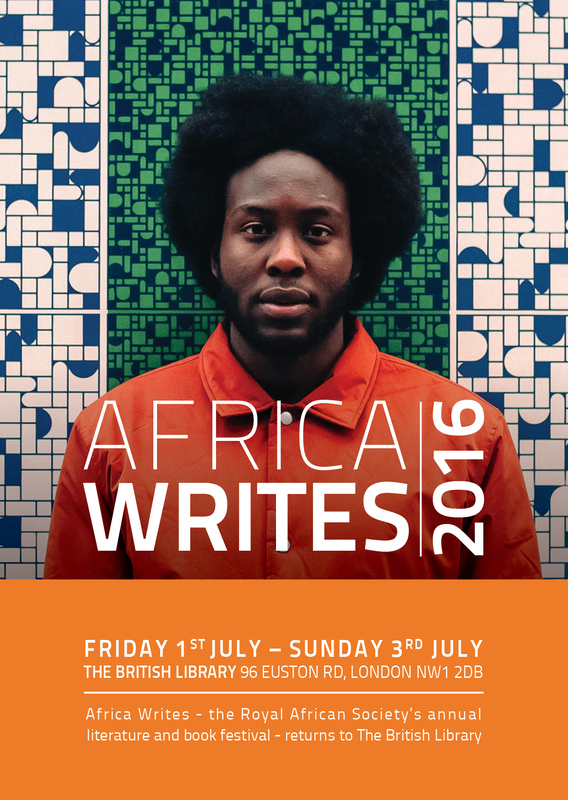 Africa Writes is the Royal African Society’s annual literature festival. Celebrating its 5th year, will bring together over 50 authors, poets, publishers and experts for a stimulating and exciting three days! Every year the festival showcases established and emerging talent from the African continent and its diaspora in what is now the UK’s biggest celebration of contemporary African writing taking place over an exciting summer weekend. The festival features book launches, readings, author appearances, panel discussions, youth and children’s workshops, and other activities. This year’s highlights include the symposium “Africa in Translation: Memory and Remembering” on friday, 1 July 2016 (10.00-13.00). The symposium aims to explore the place of translation in the contested spaces of memory and re-membering, and its impact on society. The discussants – Veronique Tadjo, Kama Sywor Kamanda, Abdilatif Abdalla, Roland Glasser, Ida Hadjivayani and others – look into Caleb Femi, the meaning of ‘the African body’ across time and space, and into the place of literature in cross-cultural scholarship, writing, reading, translation, publishing and performance. Set in 2116, Oliver, a Brit seeking asylum in the African Union is in detention. Here he pleads his case to Usman, an African border official, who isn’t fond of immigrants. What ensues is a battle of words and stories neither is truly prepared for. Part of Africa Writes, a vibrant programme of events showcasing the best new writing from across the continent and the Diaspora. The internationally renowned writer, novelist, psychiatrist and fighter for women’s rights was born in 1931, in a village outside Cairo, and wrote her first novel at the age of 13. This workshop, an initiative of Ebonyi State University being organised in collaboration with the ACU, will explore innovative approaches to academic mentoring and career development for emerging researchers. In a period of fast-paced change and growth in higher education, early career researchers find themselves confronted with a wider array of challenges than ever before. With growing student numbers, greater competition for research funding, and ever more exacting demands from funders, a reflective and proactive approach to developing academic skills is becoming increasingly critical to a flourishing research career. Join Cassava Republic Press for an evening of author readings and discussion to celebrate the launch ofHawa Jande Golakai’s The Lazarus Effect and Abubakar Adam Ibrahim’s Season of Crimson Blossoms, hosted by Margie Orford, journalist, film director and author of Water Music. 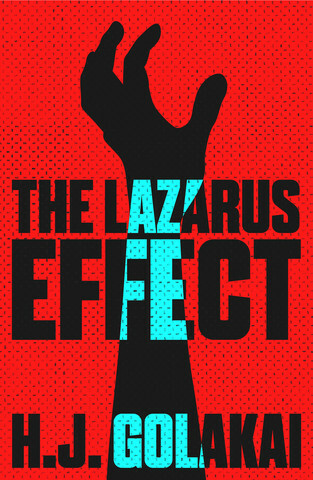 H. J. Golakai’s The Lazarus Effect is a gripping addition to the African crime genre. As part of the Centre for Film Studies annual PhD symposium, Samba Gadjigo will discuss his documentary 'Sembéne! ', which tells the story of the "father of African cinema," the self-taught novelist and filmmaker Ousmane Sembéne. Samba Gadjigo is the director of the documentary 'Making of Moolaade', is the world’s foremost expert on the life and work of Ousmane Sembéne and author of Sembéne’s official biography. He was born and raised in Senegal and is professor of African Studies and French at Mt. Holyoke College. The Frontline Club is delighted to partner with Cassava Republic Press for an exploration of new African writing on the release of Safe House: Explorations in Creative Nonfiction. Published in partnership with Commonwealth Writers, the anthology brings nuanced perspectives to the stories behind the headlines, and highlights contemporary issues across the continent. We will be joined by three of the contributors to Safe House: South African-based author Mark Gevisser, who chronicles the travails of a young, gay Ugandan man living as a refugee in Kenya; crime writer and medical immunologist Hawa Golakai, who presents the Ebola crisis as it unfolds in Liberia through a series of diary entries; and writer Kevin Eze, who reflects on the lives of Chinese migrants living in Senegal’s capital. Join us to discuss the convergence and divergence between journalism and creative non-fiction around the coverage of contemporary issues in Africa. The condition of postcoloniality, which some argue characterises the contemporary world and its narrative reproductions, raises important questions about how to critically conceptualise the postcolonial nation-state and its constitutional inclusion of ethnocultural difference. Both postcolonial theory and postcolonial “texts” caution against normative, hegemonic representations. Analyses of the nation-state, ethnocultural variegation and alterity within the postcolonial “text” must be developed with this critique in mind. In this post-graduate seminar, organized within the Critical Forum Series of the Centre for Cultural, Literary and Postcolonial Studies and co-hosted by English Studies at SOAS, three PhD students will share their research related to the challenges of transcending normative, hegemonic representations of alterity, the nation-state and identity. Uganda House, Ugandan High Commission, 58-59 Trafalgar Square, London, WC2N 5DX. The Oxford Africa Conference is the leading interdisciplinary conference on Africa delivered by a team of Oxford students. The Conference brings together heads of state, policymakers, business leaders, academics, artists, students, and professional to critically expand the discourse on Africa. In its sixth year running, the conference will provide a vibrant platform for new thinking about a global Africa across all disciplines – politics, society, business, technology and academia – connecting intergenerational leaders from around the world to shape an integrated and innovative perspective on Africa’s future. The first major UK exhibition dedicated to contemporary African fashion will open at Brighton Museum & Art Gallery on 30 April 2016. Exploring fashion and style in four cities at the compass points of the African continent – Casablanca in Morocco, Lagos in Nigeria, Nairobi in Kenya and Johannesburg in South Africa – Fashion Cities Africa will consider recent and contemporary fashion practices in these distinctive metropoles, from couture to street style. The exhibition will focus on the style choices of individual ‘fashion agents’ from each city; from designers and stylists to photographers and bloggers. Helen Mears, the Museum’s Keeper of World Art, Martin Pel, its Curator of Fashion & Textiles, Africa fashion specialists Hannah Azieb Pool and Helen Jennings and researcher Harriet Hughes visited the cities in summer 2015** to explore their fashion scenes and identify key players. The African Critical Inquiry Programme invites proposals from scholars and/or practitioners in public cultural institutions in South Africa to organize a workshop to take place in 2017. The University of Warwick is hosting a conference on the future of the Impact agenda in the UK. With preparations for the next REF already underway, this is an opportune moment to have a profession-wide discussion about impact. The Sustainable Development Goals: what role for universities? The Commonwealth Summer School 2016, it will be held at the University of Rwanda, and will focus on the United Nations' recently agreed Sustainable Development Goals. Panel and Book Launch: "Sidelights on Nigerian history"
What types of evidence, data, and sources can we use to expand knowledge of the African past? How can different types of evidence be critically analysed - be they landmarks on African landscapes or faded texts produced by authors unfolding specific intellectual and political projects? The Cambridge African Film Festival (CAFF) is the oldest annual African film festival in the UK. It was initiated in May 2002 by a small group of graduate students at the University of Cambridge as a way of screening the best contemporary African films, increasing knowledge and awareness of African and black culture in the UK, providing a UK audience for African filmmakers, and offering an important counterbalance to the Western media’s stereotyping of Africa. Now in its thirteenth year, and promising to continue for many years to come, the CAFF has won a reputation as a high-profile and important cinematic and educational event. Taking place in and amongst the magical 800-year-old buildings and natural surroundings of the University of Cambridge, the CAFF offers a very special experience to guests and visitors. The festival is partnered with Film Africa, to whom we would like to offer our sincerest thanks for their ongoing support. An ESRC Workshop on Writing Research Proposals for Fellowships and Grants will be held at Adeyemi Federal University of Education on 23-24 September. Please click here and scroll to the bottom of the page to register. Please contact Daniel Branch (D.P.Branch@warwick.ac.uk) for any queries and/or to RSVP. In honour of International Women’s Day this Sunday March 7, Planet Earth Institute wanted to spotlight four inspirational women who are working in science and tech in Africa. The following is taken directly from this website where you can find further information and videos. Originally from Senegal, Marieme is a tireless advocate for technology and the importance of building STEM skills on the continent. She is also CEO of SpotOne Global Solutions, a consultancy that helps enterprise tech companies get a foothold in Europe, Asia and Africa. Here’s a video of her passionately explaining what Africa’s scientific independence means to her. Management consultants by day, Afua and Yasmin also co-founded She Leads Africa, a social enterprise that supports high-potential female entrepreneurs by helping them jump-start their businesses. On January 24, they successfully ran their first ever ‘Who wants to be a tech millionaire’ event, which provided workshops for young women interested in building tech-enabled businesses. Here’s a little more about their work, and we can’t wait to see what they do next! Growing up, Liberata wanted to become a pilot, but her family urged her to pursue a career in scientific research. Now she is studying for a PhD with SABINA at the University of Pretoria where she is part of a larger, multi-investigator project addressing complex questions about how several species of Bacillus bacteria interact with plants. This is an important question because earlier research has shown that these bacteria, which are free-living in the soil, promote plant growth under the proper circumstances. To learn more about RISE, the programme she is associated with, please click here. A native of South Africa, Naadiya describes herself as a ‘serial social entrepreneur’. With a background in engineering, Naadiya decided to set up WomEng, a social enterprise developing the next generation of women engineering leaders around the world. At present, WomEng operates in South Africa and Kenya, but aspires to expand into West Africa. We look forward to following her impact! BIEA Seminars: "Do they know it's Christmas" Really!? Philanthropy in a time of Ebola. The Audrey Richards Annual Lecture in African Studies 2015: Give a Man a Fish; From Patriarchal Productionism to the Politics of Distribution in Southern Africa (and Beyond). 26th March 2015 5pm - 6pm. Royal African Society event: "Africa in 2015: Prospects & Forecasts"
To attend this and all other Royal African Society events you must first register on the website here. After which you will be able to register for free to this and all other events. Seminar on three-year ESRC-funded research project that will document and analyse the impact of the new constitution’s cultural rights provisions on Kenyan society. Taking place in Nairobi on the 11th November 2014 at 11am. You are invited to apply to attend the inaugural writing workshop for emerging Southern African scholars hosted in conjunction with the Journal of Southern African Studies 1st Biennial Conference. BIEA is pleased to announce PhD Student Forum conference ‘Insecurity, Anxiety and Uncertainty in Kenya’, to be held 10-11 October 2014 at the BIEA offices, Nairobi. Sponsored by the Education and Development Forum (UKFIET), this event brings together academics and policymakers to present cutting-edge research in the field, discuss key issues and debate the role of higher education in development. The Netherlands African Business Council and the African Studies Centre will be organizing the second edition of the Africa Works! conference this fall. If you want to change the world you need to understand it. This is particularly important in the field of International Development. That is why The Centre for Global Development has decided to run its 2014 Summer School with the theme ‘Understanding Development: Interdisciplinary Perspectives’. The 2014 SPERI conference seeks to take discussion of the political economy of the crisis beyond its British and European contexts to focus centrally on the dynamics and patterns of the distribution of growth and development across the entire global political economy. This panel invites papers which consider any number of the multifaceted issues associated with the 'Africa Rising' narrative. This workshop was inspired by the need for further collaboration between academics to understand how both governmentality and postcolonial approaches are key to understanding contemporary governance. The Council for the Development of Social Science Research in Africa (CODESRIA) and The Centre for African Studies Basel (CASB) call for applications for the 1st CODESRIA/CASB Summer School in African Studies. The Oxford Africa Conference is a student-led merger of Oxford University’s two most successful Africa-focused conferences into a single conference. Africa Research Forum at the University of Lincoln is organising a one day symposium to be held on Friday 27th June 2014 and is inviting submissions for papers at this event. The theme is broadly Africa, so, any topic you choose to speak on will be welcomed. Call for Applications: The African Studies Association of the UK (ASAUK) invite applications to attend a writing workshop for early career scholars to be held at the ASAUK Conference, University of Sussex 9-11th September 2014. Ppublic lecture by Rt Hon. Justine Greening MP, the Secretary of State for International Development. The lecture will take place at 4:40pm – 6:00pm on 1st May 2014 in the University of Warwick's Zeeman Building. Peacebuilding organisation International Alert are pleased to invite you to attend the ninth in a series of Peace Talks. Monday 28 April 2014 at 18.30 at The Geological Society, Piccadilly, London. UCL and SOAS Departments of Politics and International Studies invites participants to a day-long workshop to showcase and discuss new research on Nigeria holding on June 21, 2014 at University College London. The recent rise of global history has prompted much reflection amongst imperial historians about the interconnections and cross-influences that existed between and amongst past empires, stretching across vast spatial and chronological frameworks. Taking as its starting point this new trend in historical research, this workshop will explore the connections, entanglements and transnational links between different twentieth century decolonisation processes. In particular, this study day seeks to bring to light the ways in which people, ideas and practices, from both the global North and South, crossed national and colonial borders, and how these connections, in turn, impacted upon on the decline of European colonialism. By going beyond a narrow, nation-state perspective, this workshop aims to break down boundaries in the history of decolonisation, challenging, for example, the divides between the British, French and Portuguese empires, but also, more widely, binaries such as colonial/ post-colonial, metropole/ periphery, coloniser/ colonised. The DDMI has launched The Davies Papers, a working papers series named in honour of David Davies. Since 1974 ROAPE has provided radical analysis of trends, issues and social processes in Africa, adopting a broadly materialist interpretation of change. It sustains a critical analysis of the nature of power and the state in Africa in the context of capitalist globalisation. The Conference is part of the ENTITLE activities and is organised by the ENTITLE partner at the Geography Department, University of Chile. Now in its 4th year, our Convention 'Trade and Investment forum' attracts nearly 2000 delegates from all corners of the globe. ASAUK Biennial Conference 2014 will be held at the University of Sussex 9-11 September 2014. The Call for papers is now open until the 25th April 2014. There are still spaces available for panels. Swedish University of Agricultural Sciences, the University of Botswana, the EU-Africa Doctoral Student Network (DocLinks) and the African Network of Agriculture, Agroforestry, and Natural Resources Management (ANAFE) are pleased to announce Call for PhD Course on Global Challenges: Urbanization, Livelihoods and Food Security. The course will take place between July 7th and August 15th 2014. The British Academy is holding a reception to celebrate the publication of The Goggam Chronicle edited and translated by Girma Getahun. The Goggam Chronicle is a detailed regional history of Ethiopia by the chronicler, Alaqa Takala Iyasus, who enjoyed the artistic flavour and friendship of King Takla Haymanot. Of particular importance are the collection of poems inspired by dirge, martial boast and religious devotion. As such the Chronicle was and still is a goldmine for scholars of history, students of Amharic language and early Amharic literature, and for those interested in the study of genealogy, church painting, migration and settlement. Britain and Africa after 50: Fair Trade, Fair Extraction, Fairplay? The theme of the third annual Igbo Conference is ‘Igbo Heritage ’, which focuses on the contributions of Igbo culture and heritage to the political and cultural production in Igboland and abroad. The two day conference will comprise of plenary panels, Igbo cultural performances and workshops. The annual Cadbury conference will take place at the Department of African Studies and Anthropology, University of Birmingham, from 15 to 17 May 2014. This year’s theme is Class in Africa: a reassessment. "Multidisciplinary Insights into International Development: Reconciling the Divided Priorities of One Global Nation"
Invitation to submit a paper or panel proposal for the third SPERI annual conference 'The Global Contours of Growth & Development beyond the Crisis'. The Social and Solidarity Economy North and South: Towards Convivial Post Capitalist Economies? In April 1994 the transition in South Africa concluded its first phase with the general elections of that year and introduced the second phase of a Government of National Unity and a Constitutional Assembly. Most observers and scholars regard that election as the beginning of democratization in South Africa. In 2014 the fourth general election will conclude the first two decades of a post-apartheid dispensation, of a far-reaching transformation period, of a national democratic revolution in the words of the ANC, and democratization. While the South African government had its own Ten Year Review in 2004 and Fifteen Year Review in 2009, 2014 provides an opportunity for political scientists to conduct their own retrospection, diagnosis and prognosis. The study examines the background of student activism in Kenya’s largest and oldest public University which came into being in July of 1970. This panel invites papers that illustrate how postcolonial approaches and sites are valuable to understanding the practices of global governance. 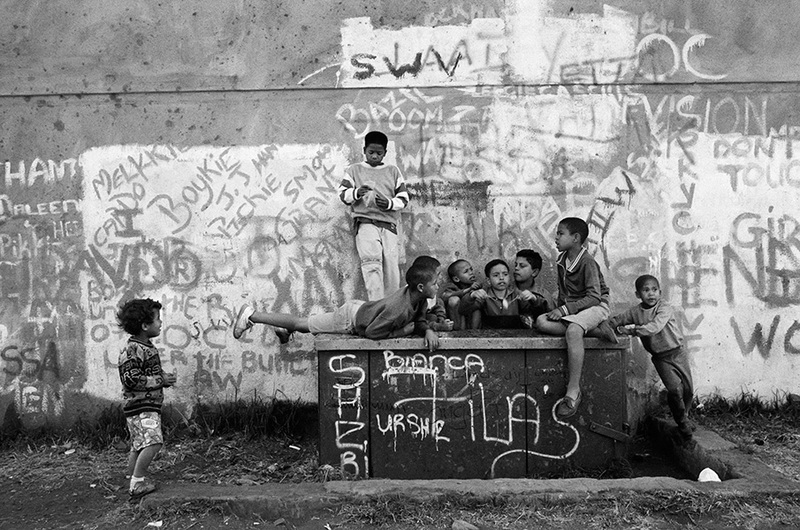 (short version) followed by a discussion led by S’bu Zikode, founder of the South African Shack Dwellers’ movement Abahlali baseMjondolo at Queen Mary, University of London Thursday, November 14, 2013 from 6:30 PM to 8:30 PM. You are all welcome to a roundtable entitled ‘From Peacebuilding towards Development: Opportunities and Challenges for Sierra Leone’s Future’ at LSE on 6 December 2013. First MENA social policy workshop to be held on 3 December 2013 at the University of Bath. Travel Bursaries for PhD students from the UK and overseas are also available. Since the 1990s, sub-Saharan Africa has experienced unprecedented attempts at reforming teacher and student classroom practices, with a learner-centred pedagogy regarded as an effective antidote to the prevalence of teacher-centred didactic classroom practices. Attempts at reform have been going on all over the continent. In fact, learner-centred pedagogy has been described as one of the most pervasive educational ideas in contemporary sub-Saharan Africa and elsewhere. Research has revealed that the major attempts have largely failed mainly because teachers have not been able to adopt instructional innovations to technical problems. This failure is also related to lack of resources, and poor teacher training programmes which lead to poor teacher quality, among others. This year’s London Annual Lecture will be held on Thursday 14th November 2013 at 6.00 pm at the British Academy. Professor Lawrence Barham (University of Liverpool) will speak on "Africa, Birthplace of the ‘First Industrial Revolution’?" Building on the first two workshops held at the University of Cambridge and Royal Holloway, University of London earlier this year, the third and final workshop in this series will be held at the University of Cape Town on Friday, 27 September 2013. The British International Studies Association is very pleased to announced that the Call for Paper, Panel and Roundtable proposals for the 2014 Annual Conference is now open. Conference Speakers to include: Gerald Gahima, Jean-Paul Kimonyo, Filip Reyntjens, Shyaka Anastase, Fred Golooba-Mutebi, An Ansoms and David Booth. You can download the full programme here. The 21st September is International Day of Peace. To mark the occasion the Centre of African Studies will be hosting a small exhibition of photographs to celebrate the 10th anniversary of Liberia's Comprehensive Peace Agreement. The images have been provided by photographers working with the United Nations in Liberia and curated by Cambridge International Arts. There will be a reception on Monday 23rd September 5-7pm at the Centre of African Studies, with discussions about progress in Liberia and how peace is portrayed visually. The photographs will be displayed until Friday 27 September 2013. Please RSVP to centre@african.cam.ac.uk if you would like to attend. The Royal African Society is pleased to once again host the AGM and annual symposium of the Sudan Studies Society of the United Kingdom (SSSUK) on Saturday, 5th October. The full programme will be revealed soon on the SSSUK website. For details please visit this link. CODESRIA Sub-Regional Methodology Workshop for Social Research in Africa, 2013 Session for Nigeria and other Anglophone West and Central African Countries. The ASAUK biennial conference will be held at the University of Sussex and will run from 2pm on Tuesday Sept 9th to 3.30 pm on Thursday 11th September 2014. Film, performance and discussion with artist, Leo Asemota and British Museum Africa Galleries curator, Chris Spring. On August 28 the British Academy for the humanities and social sciences launched a new two-year commercial partnership with the Guardian. The joint campaign, running until March 2015, will help raise the profile of language learning and showcase its importance for the UK’s wellbeing. A new dedicated website: http://www.theguardian.com/education/series/the-case-for-language-learning developed by the Guardian and British Academy provides a forum for language debates and discussions. As part of the campaign, the British Academy and the Guardian will be launching a UK-wide Language Festival in November 2013. The Festival will build on the success of the British Academy’s Language Week held in November 2012; providing a platform for schools, Higher Education Institutions, students, policy makers and businesses from across the UK to discuss, debate and explore the academic, cultural and economic benefits of language learning. The Council for the Development of Social Science Research in Africa (CODESRIA) and the Human Sciences Research Council (HSRC) are pleased to announce the third World Social Science Forum (WSSF) which will take place on African soil in 2015. The WSSF is a global event of the International Social Science Council (ISSC) that brings together researchers and stakeholders in international social science co-operation to address current topical global issues and future priorities for international social science. The Forum promotes innovative and cross-disciplinary work, cross-science collaborations in the natural and human sciences, and engagement with donors and decision makers in the science community worldwide. The IZA/DFID Program on Growth and Labor Markets in Low-Income Countries is sponsoring a one-day "IZA/DFID Conference on Training Programs and Labor Markets in Africa: Evidence and Policy Lessons" on Friday December 13, 2013. Call for Applications: The African Studies Association of the UK (ASAUK) invite applications to attend a writing workshop for early career scholars to be held in Meqele on 16-18 September 2013, in collaboration with Mekelle University. ASAUK is currently organising a writing workshop in Meqelle to assist early career scholars to prepare material for publication in international journals. The ASAUK is committed to enhancing academic links between British and African institutions and to increasing representation in British journals of work by scholars based in Africa. Previous ASAUK workshops in the UK and in other parts of Africa have been extremely well received and there has been a strong demand for places. Book launch with authors Richard and Rita Pankhurst, in partnership with Tsehai Publishers, The Anglo-Ethiopian Society and the Centre of African Studies. In 1958, Richard Pankhurst asked Rita Eldon to leave her home in London and move to Ethiopia with him and his mother, suffragette Sylvia Pankhurst. Without the promise of marriage and with relatively little knowledge of the country, Rita said yes, and so began the love affair between the two, and their adopted home, Ethiopia. This is a one-day postgraduate conference bringing together presentations from PhD and post-doc researchers from the UK and beyond. The conference examines the connections between gender, political economy, and development, with a special focus on the impact of financial crisis. Registration (full day ticket including lunch) is available for £10 until 1 August 2013. This one-day conference, supported by the BISA-PGN and GEM PhD School, will be the starting point for a new multi-disciplinary postgraduate community where members come together to discuss important issues and ideas related to their research on food security. The British Academy published a series of 8 newly commissioned articles reflecting on the challenges and opportunities for humanities and social sciences open access publishing practices. Debating Open Access - edited by British Academy Vice-Presidents Professor Nigel Vincent and Professor Chris Wickham - demonstrates that there is still much work to be done in ensuring that government policies to mandate open access publication do not damage the quality and reputation of UK academic research. Call for Applications: The African Studies Association of the UK (ASAUK) invite applications to attend a writing workshop for early career scholars to be held at the University of Birmingham on 3rd September 2013. Deadline: 5pm, 12 July 2013. The University of Basel’s Centre for African Studies and the Research Group on Political Transformation at the Institute of Social Anthropology invite PhD students and postdocs to two days of vigorous debate. 17 - 18 September 2013. Deadline for applications: 15 July 2013. As part of the ‘Africa Writes’ festival and in collaboration with the Caine Prize, the Royal African Society and the British Library, this event celebrates 50 years of African Studies Association UK by featuring a panel discussion with acclaimed authors Doreen Baingana and Zoe Wicomb, chaired by the ASAUK President Stephanie Newell. Friday 5 July at the British Library Conference Centre. The African Studies Association of the UK (ASAUK) invite applications to attend a writing workshop for early career scholars to be held in Nairobi on 20th and 21st September 2013. The writing workshop will bring together a wide range of editors of Africanist journals in order to support doctoral and recent post-doctoral students, as well as junior staff, based in East African universities in preparing articles for submission and eventual publication in Africanist and International journals. A wide range of events will be taking place throughout 2013 to mark the 50th anniversary of the ASAUK. October 2013: ASAUK @ 50: Two days of celebrations including performance, debate, music, the Mary Kingsley Zochonis Lecture with Kabba Bangura and a celebratory reception at the October Gallery 24 Old Gloucester St, Bloomsbury, London. Abstracts and further information from the workshop held on 9 May at Oxford Department of International Development. Registration is now underway for the second of three linked workshops on 'Teaching Africa in International Studies', which will take place at Senate House, University of London on 17 June 2013. Tuesday 9th July 2013, Senate House, London. This conference will discuss the extent and scope of “hidden collections” in different formats in African Studies in the UK, look at examples of projects addressing this problem and work towards ways forward at a national level. An interdisciplinary postgraduate development studies conference, organised by IDS and the School of Global Studies at Sussex, with support from the Development Studies Association (DSA). The conference will take place at the University of Sussex on 13th-14th June 2013. The conference will include a half day of methods workshops on 14th June. The deadline for registration is 31st of May. One of the major goals of the conference is to bring together a wide diversity of early careers scholars working on development issues from different disciplines and departments across the Sussex campus. Abstracts deadline: 24 May 2013. Theme: Social Protection and the Citizenship Rights of Vulnerable Children in Africa. 9–27 September, 2013, Dakar, Senegal. Friday 31 May 2013. Convened by Sujit Sivasundaram (History) and Simon Schaffer (HPS) the workshop continues an important set of debates and reflexions on the interaction between histories of the sciences and models of global history. This will be held at the Sainsbury Research Unit, University of East Anglia on the 1st and 2nd November 2013. The theme of the conference is ‘Africa’s material culture past and present’. Our central theme will be, of course, African archaeology, but we are keen to attract input from related disciplines such as art history, heritage management, history and museology. 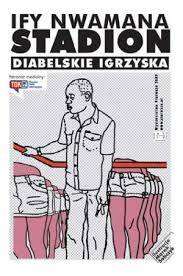 Fiction and Reality of Mobility in Africa, Friday 31 May 2013 at 4.15 pm, Alison Richard Building, Cambridge. 29 and 30 May 2013, SOAS, London. This conference aims to provide an interdisciplinary and research-based platform to Africanists from Europe, Africa and the USA, to initiate a debate about the causes of the present political and humanitarian crisis in Mali, but also its impact on the country’s social and cultural diversity. University of Oxford, Department of International Development, 17th June 2013. Deadline for panel abstracts: 1st May 2013. The International Gender Studies Centre is co-hosting a research day focusing on gender in African Studies on Saturday 11th May 2013 at Lady Margaret Hall. Generous funding from the Wenner-Gren Foundation has been awarded to support the participation of scholars from the developing world in the Proto-Globalisation in the Indian Ocean World Conference, 7-10 November 2013. This includes two bursaries for early career researchers, to be awarded through an open competition. The bursaries will cover travel to Oxford, accommodation, subsistence and the conference fee. 2013 Session for Nigeria and other Anglophone West and Central African Countries, 14-19 October 2013. Deadline for applications: 16 August 2013. Call for papers extended until 15 April 2013. Johannesburg, South Africa, 2-6 December 2013. Organised by The International Migration Institute (Oxford University), the African Centre for Migration & Society (Wits University), and the Max Planck Institute for the Study of Religious and Ethnic Diversity. Exploring the Contours of African Sexualities: Statutory, Customary and Religious Laws. Professor Sylvia Tamale, Makerere University, Uganda. Hatfield College, Durham University, Participants are invited to attend this one and a half day ASA funded conference designed to generate open and academic discussion of the issues surrounding agricultural development in sub-Saharan Africa. A Postgraduate-led Conference and Workshop at the University of Birmingham. Deadline for abstracts: 15th April 2013. Three working-group sponsored workshops on 'Teaching Africa in International Studies' will take place in 2013, in Cambridge, London and Cape Town. Registration is now underway for the first of these, which will take place at the University of Cambridge on April 19th 2013. Registration is free, open to all, and includes lunch. Support with travel expenses may also be available upon request, particularly for postgraduate students and junior scholars. To be held on 1st November 2013 at the University of Birmingham. Deadline for abstracts: 29 April 2013. Themes: (1) Measuring growth, poverty, and inequality; (2) Causes and consequences of inclusive growth. The deadline for submitting abstracts is 1 April 2013. To celebrate the fiftieth anniversary of the Centre of West African Studies (CWAS). 'Crossroads in African Studies' will also launch the first of a new annual lecture series, the Fage Lectures. Highlights of the programme include: What is interdisciplinary research in development? How to run successful interdisciplinary projects? MDGs post 2015 – what role for academic institutions? A two week course for university lecturers, to be held in Lusaka, Zambia, 20 May - 1 June 2013. Deadline for applications 11 May 2013. Call for papers for a conference to be held at the University of Oxford, June 27-28th 2013. The conference aims to bring together postgraduates and early career researchers who study the relationship between free-market reform and political change. Deadline for abstracts: 20 March 2013. Two-day conference at SOAS, London on the theme ‘Igbo Language and Performance’. The annual conference’s aim is to encourage and promote Igbo Language Studies in the UK. Whilst there are limited Igbo Language and Cultural studies available in British Universities, the annual Igbo Language Conference seeks to provide a forum for intellectual and cultural exchange between scholars, students and members of the community. The Africa Research Student Network (AfNet) at the University of London is seeking papers for its inaugural Africa Research Day. This is a forum for graduate students to discuss research old and new practices, facilitate dialogue across disciplines and bridging the gap between theory and practice. The Council for the Development of Social Science Research in Africa is pleased to announce its initiative targeted at those members of the African social research community who have responsibility in their universities for teaching undergraduate and graduate-level course in social science research methods. The event will explore the different pathways between resource wealth and economic development on the one hand, and resource wealth and democratisation on the other hand. Paper proposals invited for section on "The Politics of Foreign Aid"
16 November, University of Birmingham. Deadline for panel concepts, 15 April 2013; deadline for panel papers to be advised by panel convenors. Deadline for standalone papers 3 June 2013. The African Studies Association invites the submission of panels for the 2014 Conference. ASAUK's biennial conference will be held at the University of Sussex and will run from 2pm on Tuesday Sept 9th to 3.30 pm on Thursday 11th September 2014. We would encourage individuals, journals, centres and networks to offer a single or series of panels on particular topics so that there can be sequential debate through the conference. ‘If International Relations lives in the street, what is it doing in the classroom?’. Lecture by Peter Vale, Professor of Humanities, University of Johannesburg, and Nelson Mandela Chair of Politics Emeritus, Rhodes University. The Africa Research Student Network (AfNet) was created in October 2012 to facilitate greater dialogue between research students focused on Africa from across the University of London. It launches on 21 January at 5.30pm at SOAS. University of London. Talk by Ridwan Osman, PhD Candidate, Cambridge University, 24 January 2013, SOAS. The second DocLinks Summer School in Helsinki, Finland on July 2-5, 2013 with the theme of "Bridging Research and Policy for Sustainable Development”. The summer school aims at networking African and European PhD students and supporting the research training and career development of the participants, and will allow the participation of African and European doctoral students across disciplines. Understanding Decolonization within a Transnational Framework. Institute of Commonwealth Studies and King’s College London (in conjunction with Portsmouth University and Sussex University), 15 March 2013. Deadline for submissions 25 January 2013. Developmental Patrimonialism, Shari'a Criminal Law in Late-Colonial Northern Nigeria, Memories of the slave trade, Nation-building narrative in South Sudan. This panel addresses the growing interest in dealing with previously 'neglected' tropical diseases and the implications this has for the governance of development interventions, strengthening of health systems, and prioritisation of science for development in Africa. Deadline 16 Jan 2013. ECAS Lisbon Panel 138. Deadline: 16th January 2013. The usage and effects of social media in Africa are undergoing contnuous and significant change. This panel intends to explore trends and processes at the interface of social and technological transformation. These workshops to be held in Cambridge, London and Cape Town will explore aspects of teaching Africa and International Studies, including curricula, pedagogy, and ethical and political issues. The workshops are organised through the BISA ‘Africa and International Studies’ working group in conjunction with the Politics Departments of Cambridge University, Royal Holloway, University of London and University of Cape Town. The French Embassy has generously sponsored a cycle of lectures and workshops running from Thursday, 31 January 2013 to Friday, 1 February 2013. In this second lecture, co-organised by the Centre of African Studies, Professor Denis-Constant Martin (Sciences Po Bordeaux, University of Bordeaux) will give a talk on The Political Configuration of Identities. The next annual residential school of the The Governance for Development in Africa Initiative at SOAS, University of London will take place in Accra, Ghana, on 6-10 May 2013. This initiative aims to contribute to and stimulate debate on governance, development, and the relationship between them. About 20 participants from a range of African countries, and representative of the academic, civil society and government sectors, are selected each year to take part in the residential school. ‘African Dynamics in a Multipolar World’. Lisbon, Portugal, on June 26 to 28, 2013. The call for papers is now open and will close on 16th January 2013. Justice Albie Sachs, former Judge of the Constitutional Court of South Africa, will give the 2012 Annual Nairobi Lecture on Friday 23 November. Sachs was appointed by Nelson Mandela to South Africa’s first Constitutional Court and is presently on the Kenya Judges and Magistrates Vetting Board. Justice Sachs will talk about cases concerning access to dialysis, to anti-retroviral drugs and the right of persons living with HIV to work on South African Airways. African Borderlands Research Network (ABORNE), Saint-Louis, Senegal. Deadline: Friday 31 October 2012.